Published February 29, 2012 at 512 × 640 in Artist Papertronics Part 2: Kenzo Minami. 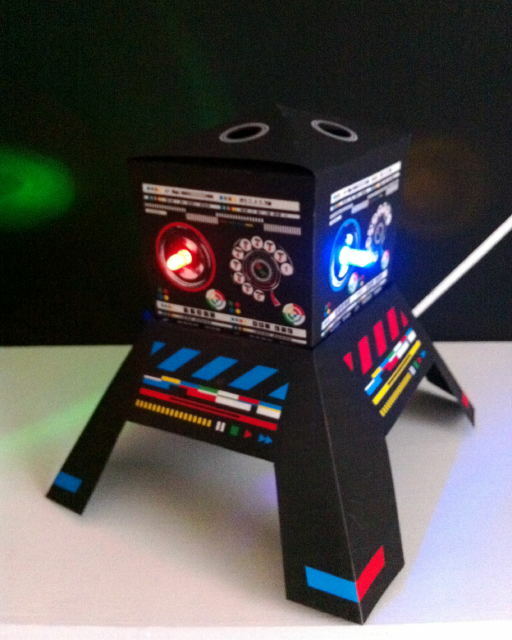 Papertronic Lunar Lander by Kenzo Minami. LEDs care of Sparkle Labs.